Priced at EGP 169,900, the Kia Picanto is a Korean offering that is seen in large numbers on the streets of Alexandria. Producing 86 hp and 120 Nm of torque, from its 1.2 liter 4 Cylinder engine, the Picanto is a worthy alternative to segment heavyweight, the Hyundai i10. Measuring in at 3.60 meters length, 1.59 meters width, and 1.48 meters height, the Picanto bears a top speed of 169 km/h and is able to hit the 100 km/h mark in just 13.5 seconds - figures that are impressive for a vehicle with its dimensions. Packed with with several safety features, the Picanto is for those in search of a hatchback that is merely great in every which way. Looking for Older Kia Picanto Models? 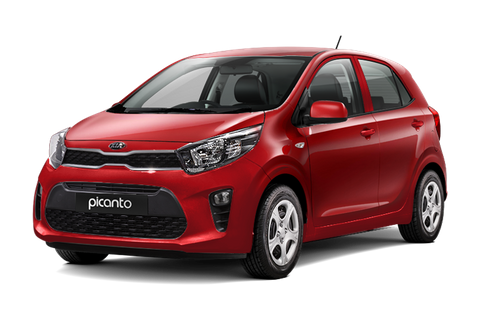 Looking for Used Kia Picanto Instead?